The other week we got a lovely surprise email from Anna and James Gill, the owners of Manchester bakery And The Dish Ran Away With The Spoon. It turns out they've been reading our blog for a little bit (we were very impressed with their knowledge of our exploits!) 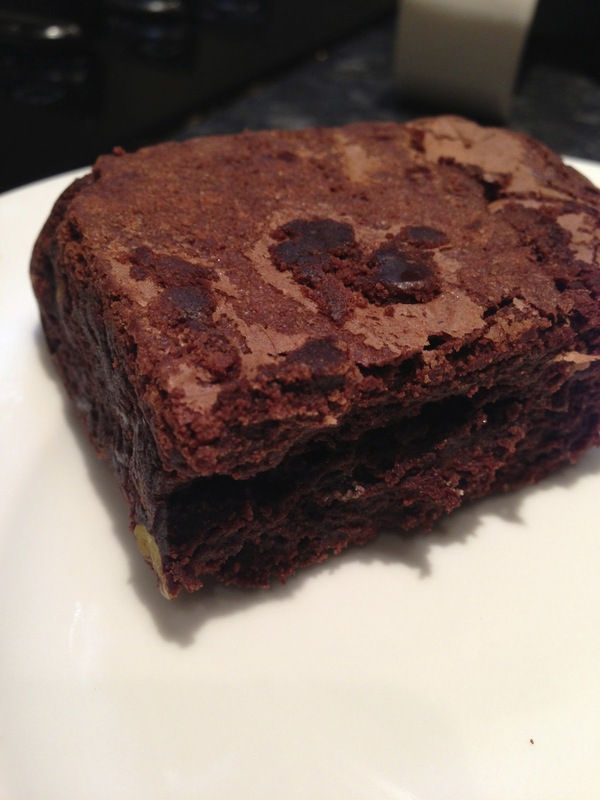 and they very kindly offered to send us some brownies to road test. 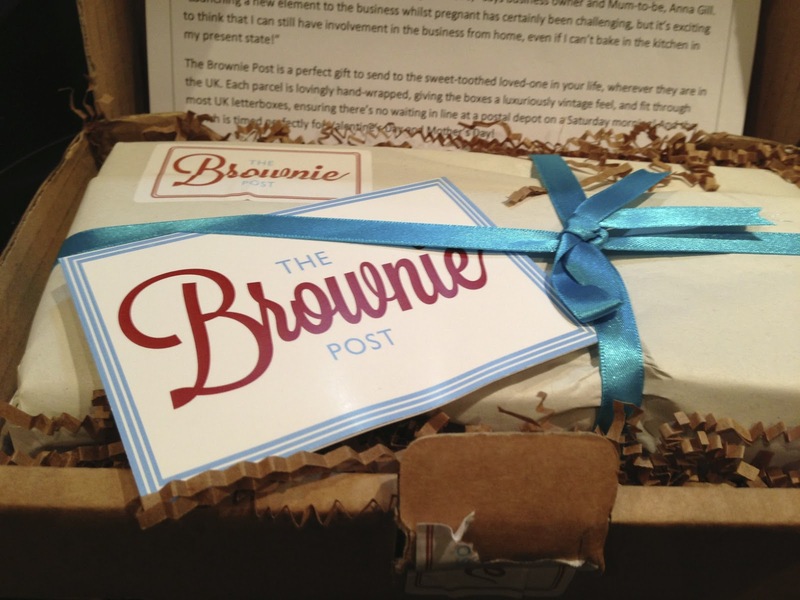 It turns out that James and Anna have set up a new (and really rather swish) mail order brownie service called The Brownie Post. The idea is both simple and brilliant: got a sweet tooth? No problem. 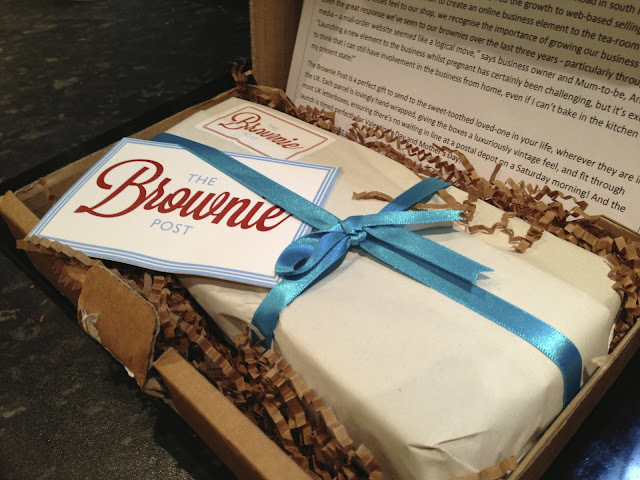 Log on, order yourself one of twelve flavours of brownie, pick whether you want half or a whole dozen and hey presto, they turn up at your door in prettily wrapped vintage packaging, which reflects the 50s feel of the Didsbury bakery and tea rooms. Amazing. As Anna and James are regular readers of Slightly Peckish, they'd clocked that we are pretty big fans of the Middle East and its cuisine so offered to send us out some of their Middle Eastern inspired white choc, cardamom and pistachio brownies, and who are we to decline such an offer? The proof, as they say, is in the proverbial pudding. 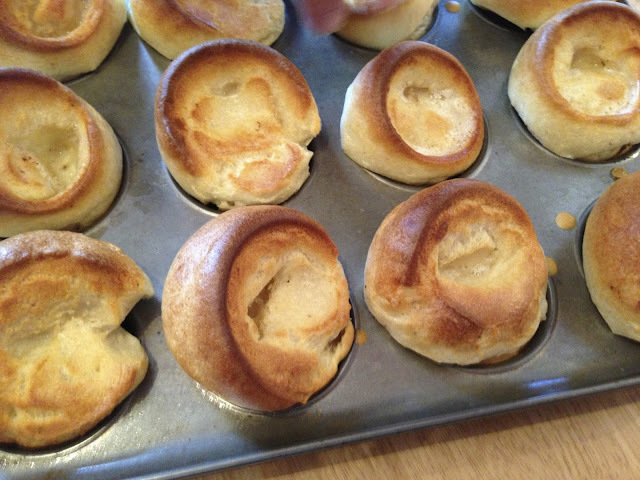 So what are these postal puds like? Firstly, the packaging works really well. It's aesthetically pleasing and the brownies fitted through C's letterbox and came out pristine: full marks for surviving Postman Pat's worst intact. 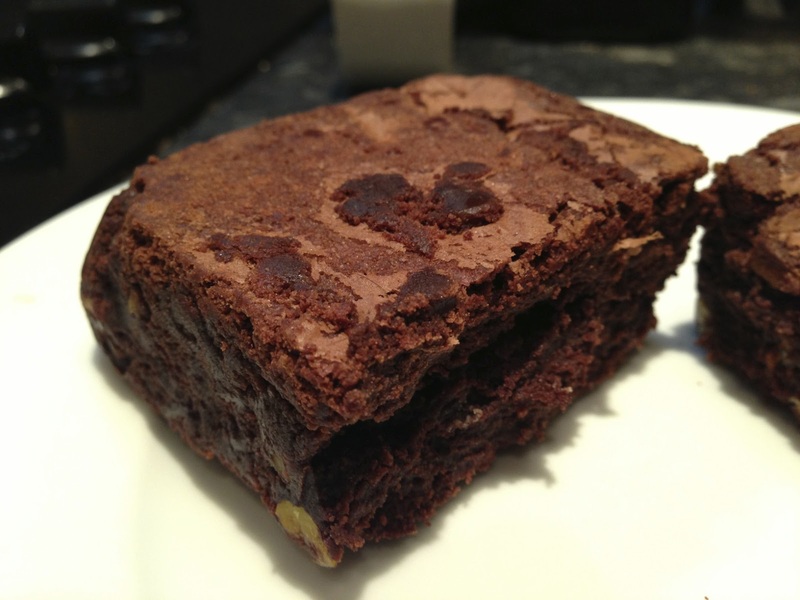 A, C and Flatmate N (lucky boy) sat down with a plate of brownies to taste test. The general consensus was "pretty d**n delicious". We all agreed that the texture was just right, the flavour unusual but not overpowering and the portion size was spot on - we tackled them after dinner and three brownies were an ample dessert. 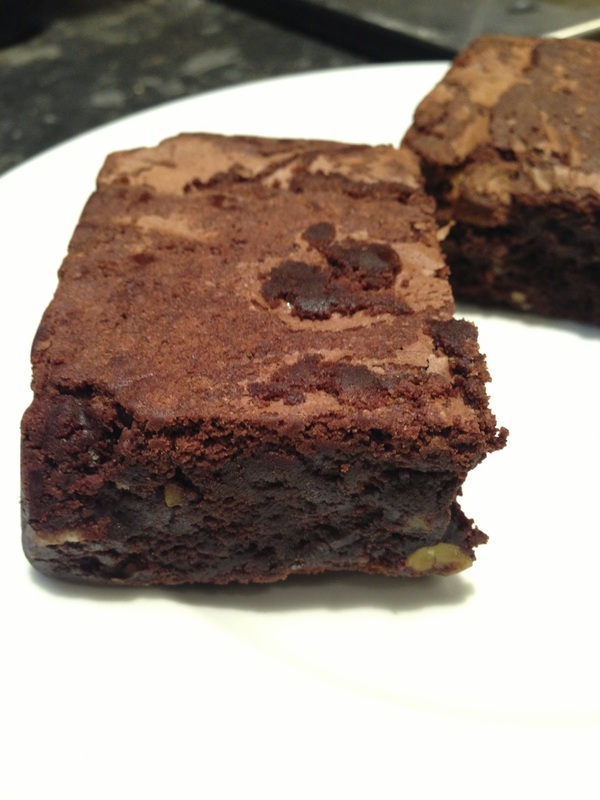 We also all commented on how fresh the brownies were considering their UK-wide travels. 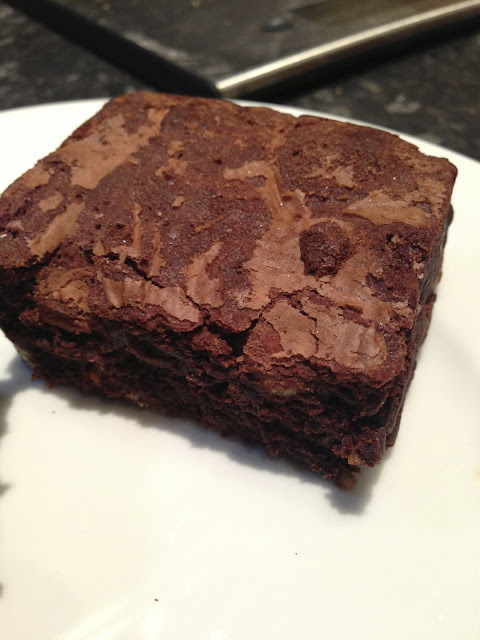 As a social media type, C in particular likes the thought that you can now order not only clothes, books and DVDs but also delicious brownies through the power of the web and parcel force. We shared out the remaining brownies amongst C's work colleagues at her current freelance contract, and C's parents J & D - and comments were consistently positive all round (along with a discussion about what cardamom actually was and why it tastes so good). In summary: these brownies are delicious and you should buy lots of them. Go on, we'll even give you the link again so you can click straight through: www.thebrowniepost.co.uk. Featured Content: A and C did not pay for six brownies from The Brownie Post. A and C enjoyed the brownies courtesy of the Gill family at And The Dish Ran Away With The Spoon and did not accept additional payment for this post.